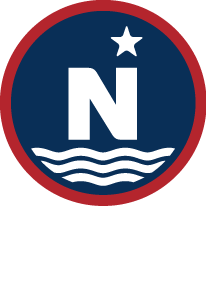 ﻿ Northern Rock Sole – North Star Fishing Co. Location: Bering Sea/Aleutian Islands (BSAI). Northern rock sole are distributed primarily on the Eastern Bering Sea continental shelf and in much lesser amounts in the Aleutian Islands region. Season: January 20-December 31. Rock sole is targeted primarily in the first three to four months of the year. Headed and gutted (H&G) fish with roe-in are produced for the Japanese market from January 20 through early March in addition to H&G without roe which is sent to China for further processing. After late April, rock sole is primarily incidental catch from the other flatfish fisheries. General Information: Alaska accounts for majority of the worldwide harvest of northern rock sole. Over 60,000 mt was caught in 2011. Northern rock sole is harvested mostly by catcher processors ranging in size from 110 to 295 feet, and by combinations of catcher vessels and catcher processors in the Gulf of Alaska. Catcher processors harvest multiple species, conduct primary processing aboard the vessel, and freeze their products on board. Catcher vessels exclusively deliver to shoreside processors or other vessels. Additional information on northern rock sole can be found at NMFS Fishwatch.